Hundreds of scientists from around the globe will converge onto the city next week as Jackson State University hosts the 14th annual International Symposium on recent advances in environmental health research. 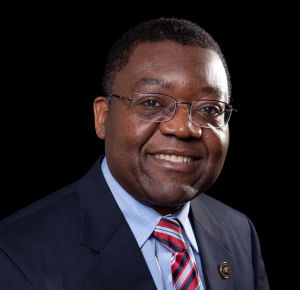 Symposium chair Dr. Paul B. Tchounwou is the associate dean of JSU’s College of Science, Engineering and Technology. He said the event would foster international scientific collaborations. Attendees from five continents are expected to attend the annual event, which will be held Sept. 10-13 in the Marriott Hotel, 200 E. Amite St., in downtown Jackson. Dr. Paul B. Tchounwou, is chair of the symposium and associate dean of JSU’s College of Science, Engineering and Technology. He said the upcoming gathering would be a contribution to global research and education. “Its overarching objective is to promote interdisciplinary discussion and international scientific collaborations,” Tchounwou said. Also, he’s expecting experts to help increase awareness of global environmental and public health issues plaguing Mississippi, the nation and the international community. The symposium will include plenary lectures and poster presentations – one for faculty and professional scientists and one for students. The displays will deal with issues such as environmental toxicology and health risk assessment. Nanotechnology, health disparities and environmental security will be part of the focus, too. For more information, visit SYMPOSIUM.